with pickled onions, a handful of mustard seeds and vinegar. 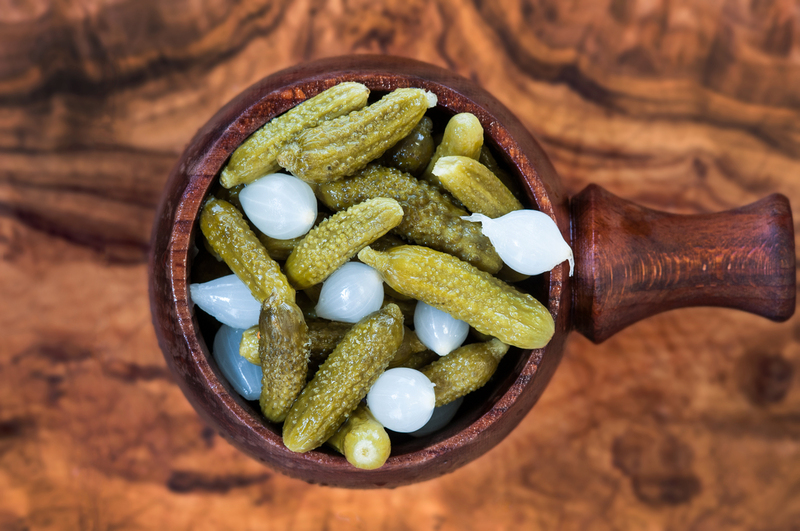 These are a French classic, sour and crunchy, mixed with pickled onions and mustard seeds, what a great combination. The ideal match for these is a raclette or cheese board, although we do love them dipped in hummus....don't knock it until you've tried it! Conichons,White Onions, Water, Wine Vinigar, Salt, MUSTARD Seeds,Tarragon.